As we continue to suffer through the heat I've been keeping cool with the help of my freshly loaded all-classical IPod. 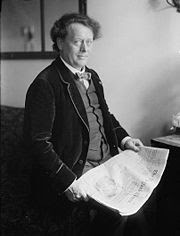 Recent listening has included Willem Mengelberg's superb recordings of the Beethoven symphonies and orchestral works. This is a five-CD set of performances recorded live in in monaural sound, recorded live. Although this set is not currently in the Philips catalogue, it was released as an historic recording on the Philips "Original Masters" series which highlights famous performances from the Netherlands. The conductor's brisk tempi and swooping lyric passages offer a glimpse back into an earlier tyle of conducting, Mengelberg's conducting is of another age, with a steady beat and a freewheeling style that recals Wihem Furtwängler. The Seventh and the "Eroica" are sublime, the Fifth is a worthy textbook for any young conductor. Unfortunately for his conducting career, Mengelberg made these recordings during the Nazi occupation of Holland. After the war, the conductor was accused of collaborating with the Germans, and left Holland for Swiss exile where he died in 1951. He made no more recordings after 1945, but the ones he left behind, particularly the Beethoven cycle, are most illuminating to listen to. Other current favorites include Maria Joao Pires' Mozart cycle on DGG, some nice Montreal Debussy under CHarles Dutoit, the famous La Scala Simon Boccanegra woith Claudio Abbado on the m podium, and the mono Beethoven cycle with Wilhelm Kempff at the piano. Like the aforementioned Mengelberg set, these Kempff CDs are out of print, but worth owning if you can find or download a copy. As the classical music season winds up here in New York, things have been a little slow around the Superconductor editorial offices. CDs have stood in their cases unwrapped, DVDs unwatched, and concerts--well health issues suffered in April have made your favorite critic take a few weeks off from the concert hall. The combination of a sinus infection and breathing issues in April caused me to miss a couple of operas, but after some R and R and expert medical care, I'm on the mend. 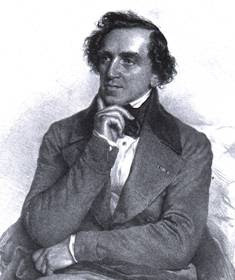 Because the blog demands it, a lithograph of Giacomo Meyerbeer. So. As New York swelters through its first and worst heat wave of 2008 (so far) I escaped to the air-conditioned basement of Barnes and Noble Lincoln Center, and emerged with three interesting opera recordings. They will be put into my ITunes and written about in due time, all things permitting. Les Huguenots cond. Richard Bonynge. This magnum opus by Giacomo Meyerbeer is one of the longest non-Wagner operas ever written, a near-complete recording featuring the twin talents of Joan Sutherland and Martina Arroyo. La Stupenda takes on the role of Queen Margot, and her hubby conducts the nearly four hours of music. Die Liebe der Danae cond. Sir Charles Mackerras. Those wacky bargain-basement elves at Gala Records (my second favorite El Cheapo music label along with Brilliant Classics) have released what is (I think) the third or fourth recording of this least-performed Richard Strauss opera. Features English basso Norman Bailey in the key role of Jupiter. This opera was the only one of Strauss' 15 to remain unstaged (except for a dress rehearsal) during the composer's lifetime. Maybe 1944 Austria wasn't the best place to stage a "cheerful mythology in three acts." Le Roi Arthus Yes, it's King Arthur: the French Romantic Opera from the pen of Ernest Chausson. Telarc has released this Leon Botstein recording (OK, it's three years old but this is the first I've heard of it) with the professor/conductor on the podium exploring another underperformed opera that deserves a place in the repertory.